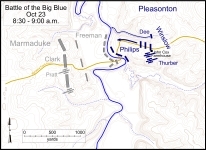 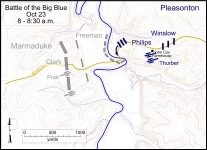 This tour stop takes you to the place where Col. Thomas R. Freeman deployed his skirmish line on the west bank of the Big Blue River. 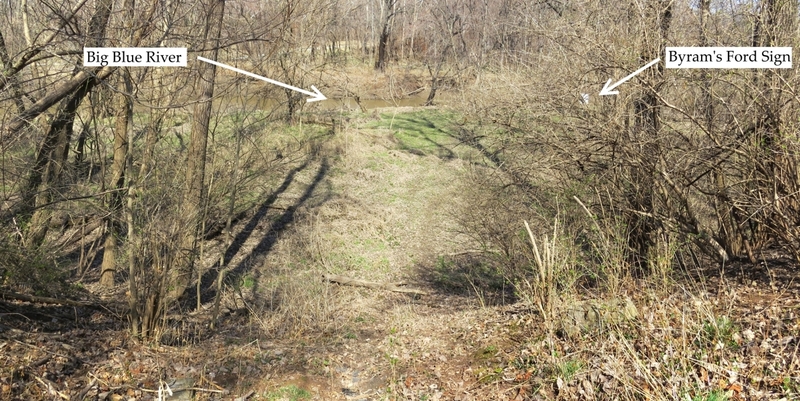 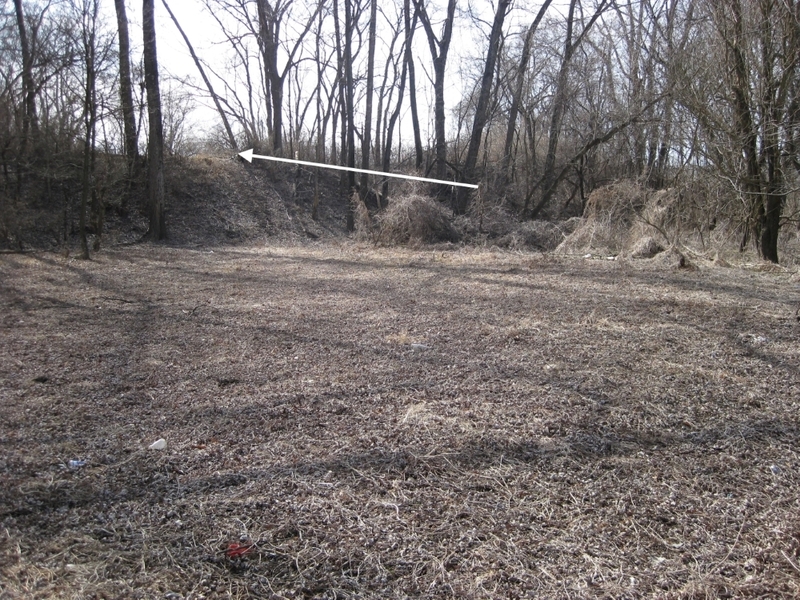 Looking toward Freeman’s skirmish line (tour stop marked by white arrow) from Byram’s Ford. 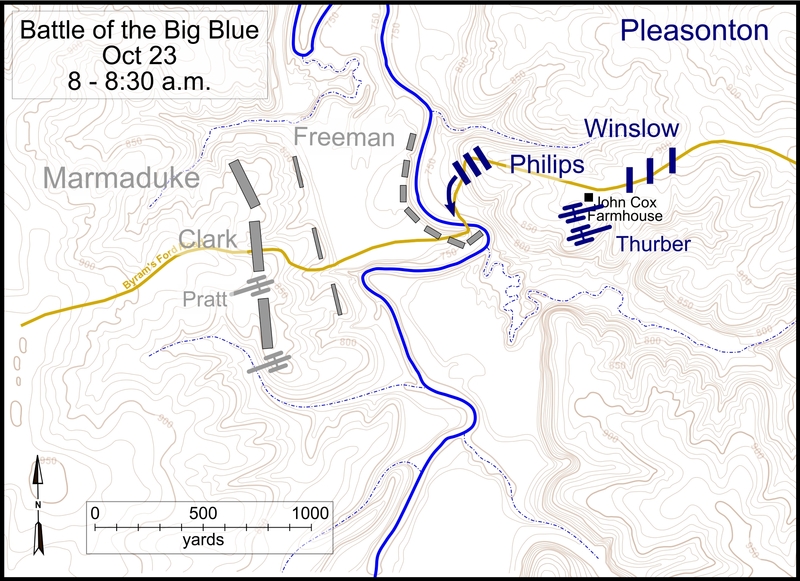 Looking toward Blue River from Looking toward Freeman’s skirmish line. 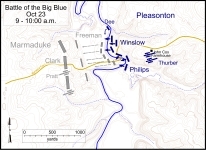 Battlefield map showing general locations of combatants between 8:00 and 8:30 a.m. Click on thumbnail to load high resolution version of map. 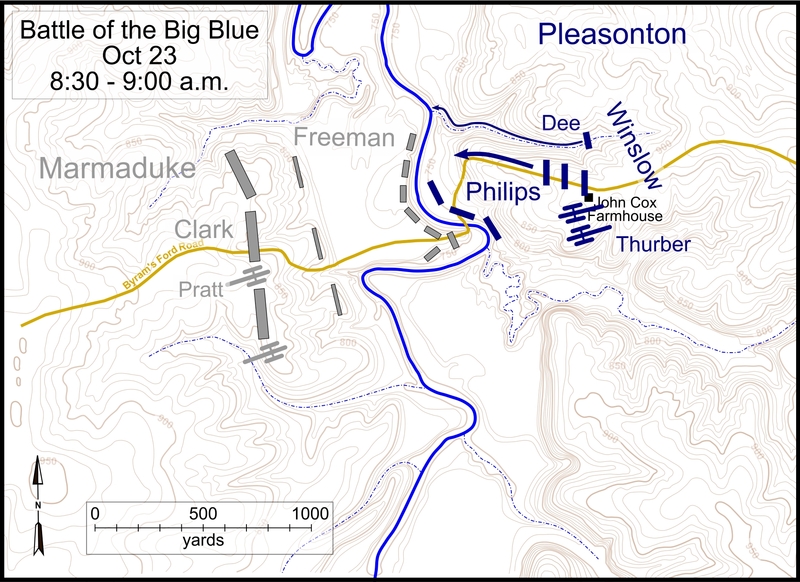 Battlefield map showing general locations of combatants between 8:30 and 9:00 a.m. Click on thumbnail to load high resolution version of map. 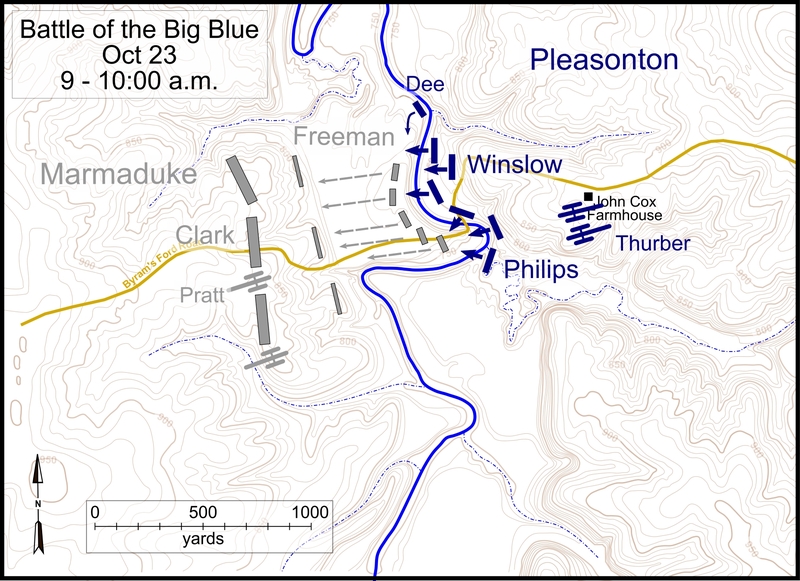 Battlefield map showing general locations of combatants between 9:00 and 10:00 a.m. Click on thumbnail to load high resolution version of map.